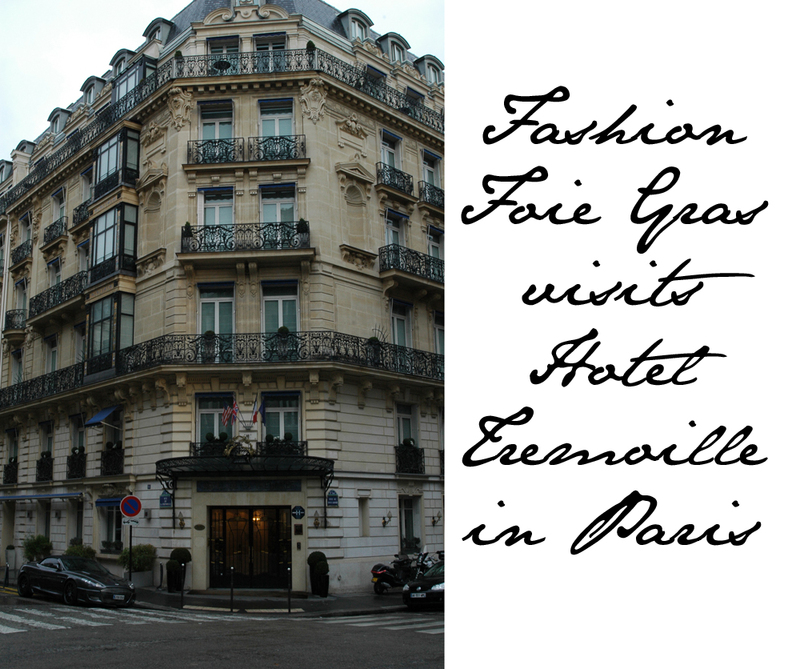 This past weekend, The Clothes Whisperer and I were invited to spend a night in Paris at the Hotel Tremoille. The hotel is situated just off George V and for those of you that know Paris you will recognize that this is the best possible location imaginable. They say that the hotel lies in the middle of the "Golden Triangle" in the 8th district. 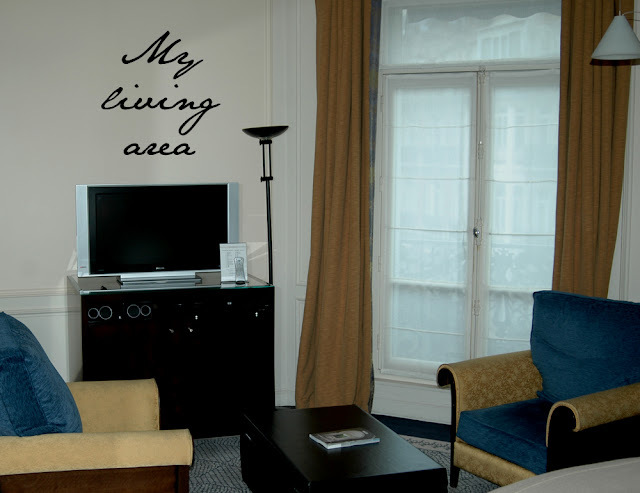 It's five minutes walk from The Champs-Elysees and the Avenue Montaigne and a cheap taxi ride away from any of the main attractions in Paris. 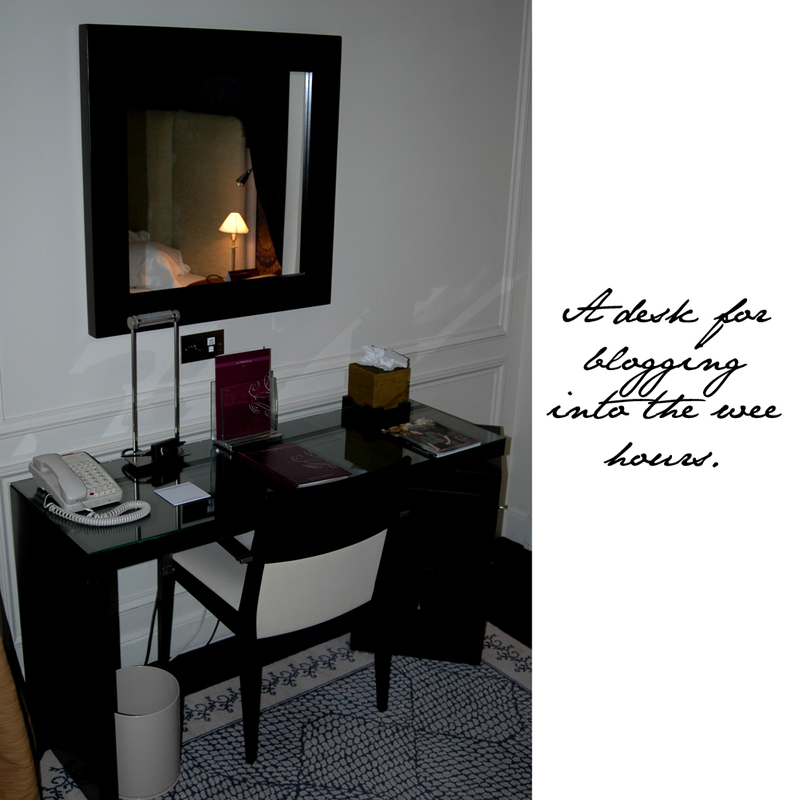 So really it acts just as a hotel should when you are in a city worth seeing - as a place to rest your head comfortably after a long day of shopping, strolling and sightseeing. My only problem was that once I checked in it took quite a lot of effort to get me back out the door. I didn't want to leave! 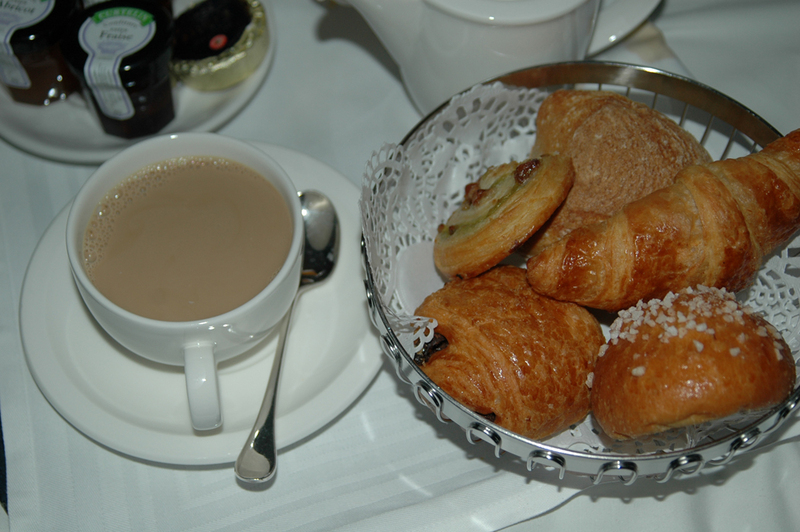 Upon arriving at Hotel Tremoille we were greeted by a superb team of hotel employees at reception. 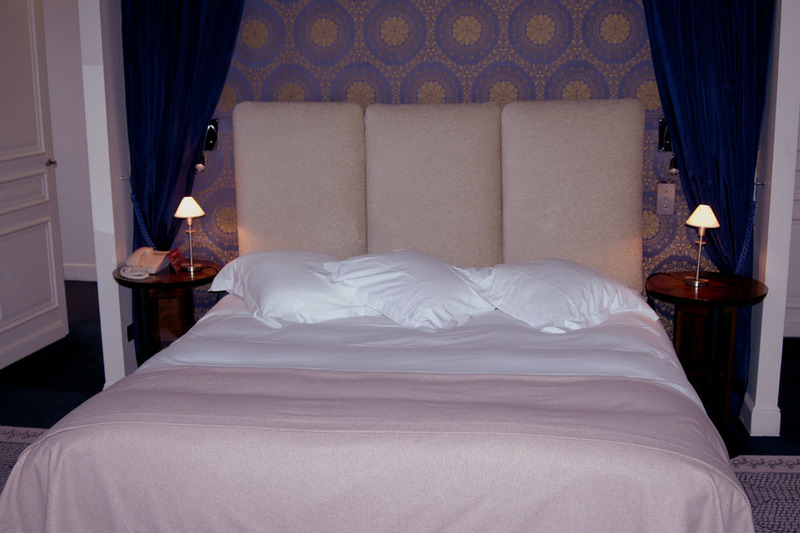 This atmospheric area of the hotel had an old world feeling with a new modern elements twist. We were greeted with "Bonjour" and from then it was all English. There was no misunderstanding the fact that we were American but there was also no "attitude" in having to speak to us in our native tongue. 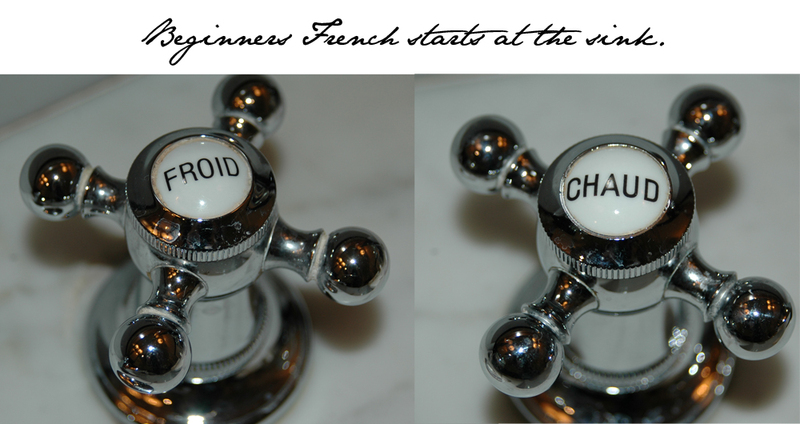 Everyone was all too happy to accommodate our lack of knowledge when it came to the French language. My room was on the fourth floor. 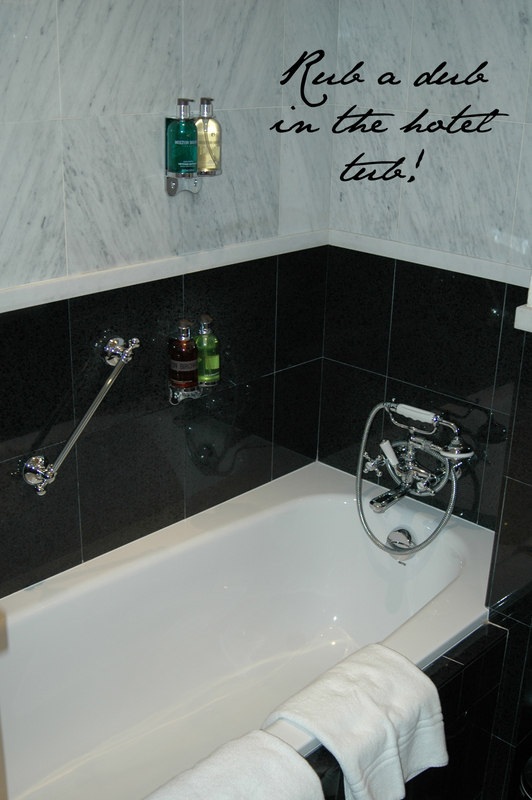 There are five types of rooms at the Hotel - Standard, Superior, Deluxe, Junior Suites and one-bedroom suites. I was given a Deluxe room to enjoy for the evening. Upon entering my temporary boudoir I walked down a short corridor and was immediately face to face with my living area - a modest two seater living room with a state-of-the-art flat screen TV, ipod system and DVD player. I threw my overnight bag down on one chair, sat in the other and took a deep breath before exploring the rest of the room. If that chair could have fit in my carry on it would have come home with me. The living area was a hit. It was the bed, however, that was calling my name from the moment I walked in the door. As a writer I make no secret of the fact that I rarely get more than three hours sleep a night. It took all my willpower to stay off the bed long enough to snap this picture. I was ready to sleep and enjoy a king size bed all to myself for a full eight hours, if I could remember how to do that. Later that night I laid my head down on the pillow and managed to log ten hours of shut-eye! I don't think I've done that since I was twelve. 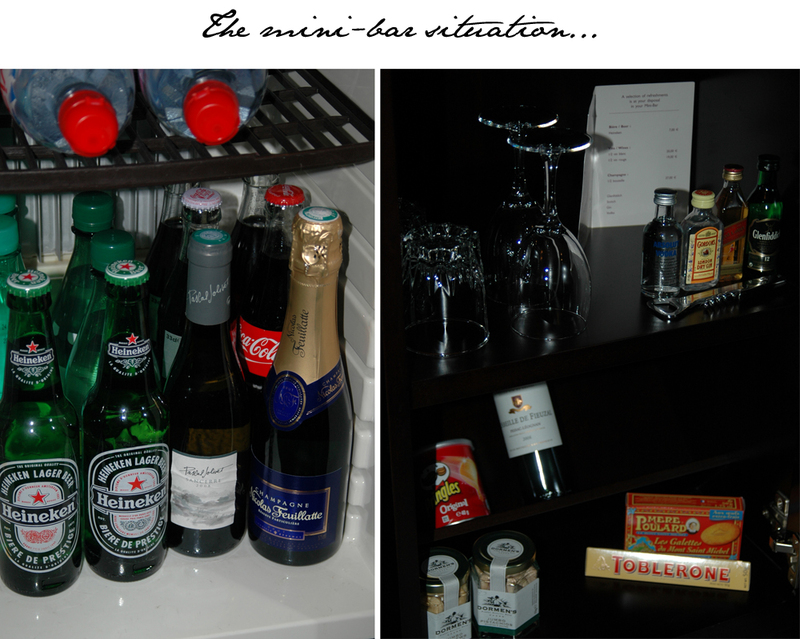 Thank you, Hotel Tremoille, for showing me I still have it in me given the right conditions. There were two massive windows in my room with balconies that overlooked the streets of Paris. 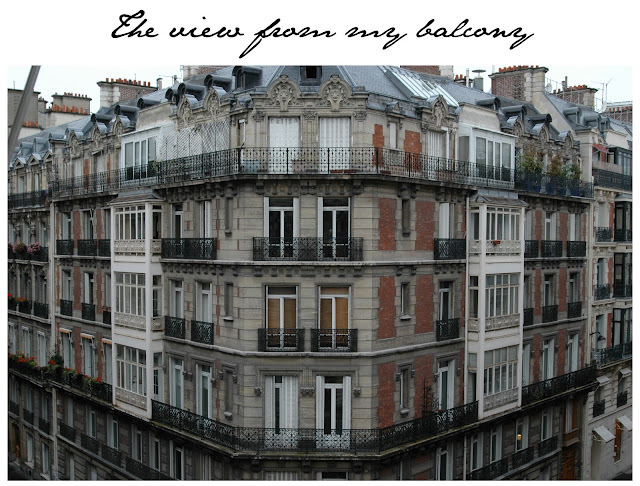 As I opened the windows and let in the cool Parisian air, I felt my spirit soar. I'd come home to a city I'd fallen in love with so many years ago. The view was breathtaking. Gorgeous architecture was laid out before me as far as the eye could see. Later that night I looked out upon the streets and gazed into the windows of the other buildings and imagined what it would be like to live in such an amazing city if even for just a few months. I was like a little princess dreaming in her tower. 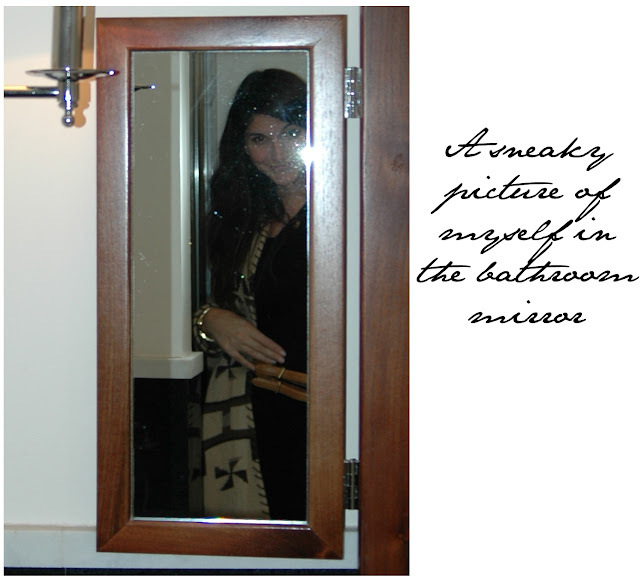 And I truly did feel like a princess as I slipped into my plush white robe and comfy bed slippers after a long soak in the tub. 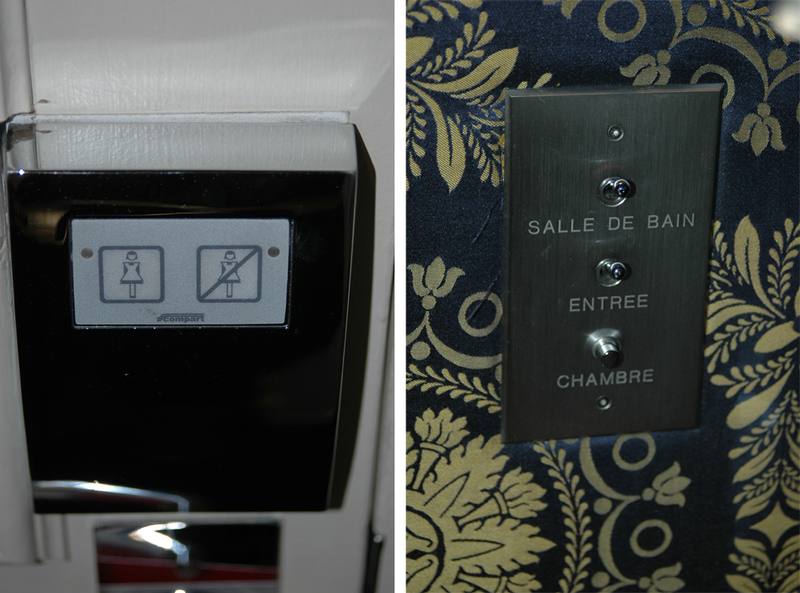 I've always said you can find out everything you need to know about a hotel by the bathrooms they keep. Most importantly, and the first thing that I check, is the water pressure. Hotel Tremoille definitely passes the water pressure test. 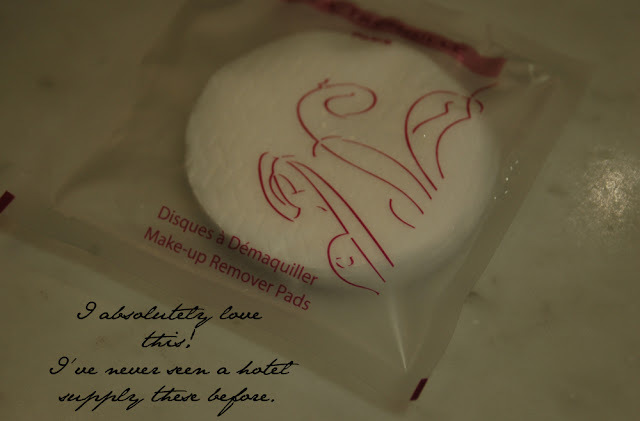 They also ace the amenities test. There was enough Molton Brown present to keep me happy for weeks. 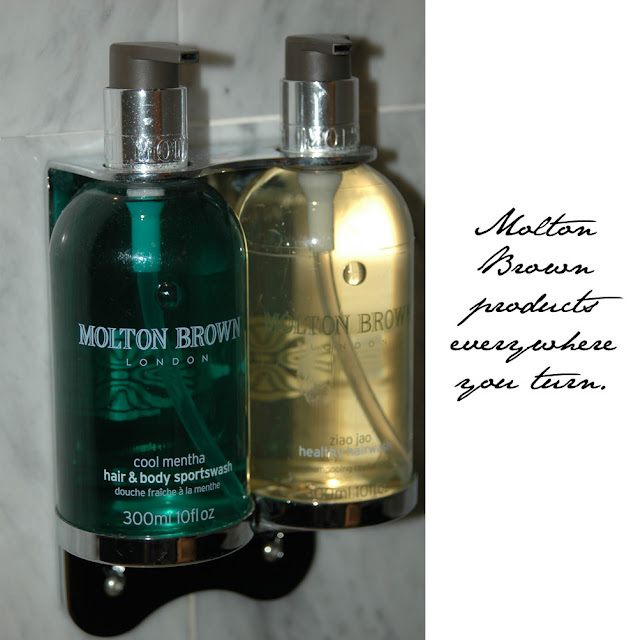 And these weren't the little tiny travel bottles that take serious beating to release product...these were full size Molton Brown Pumps that allow for serious indulgence. Afterall, I am in a hotel and I am all about the pampering in Paris (for ultimate pampering while at Hotel Tremoille you should book yourself some treatments in their spa and check out the sauna). Alright, so you will probably look at the picture below and wonder what on earth you are looking at. I thought these were two of the coolest features of the room. First, on the door you have two buttons you can press to tell the front desk you would like your room cleaned or you would like no one to disturb you! Genius! Then (if you look at the picture below on the right) there are light switches- that are marked - for all of the lights in the room. This is situated, oh so conveniently, next to the bed. How many times have you climbed into bed, become comfortable and ready to sleep only to realize you have left a light on! I need this little gem in my London flat. I'd have so many more happy nights of sleep. 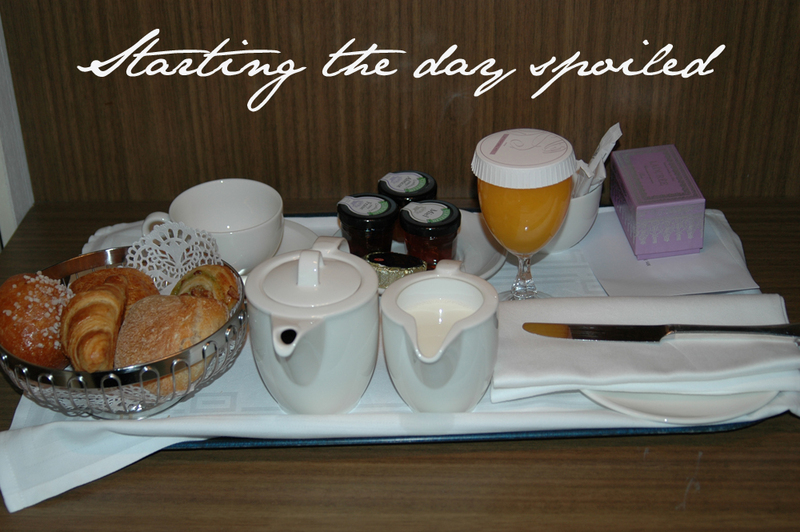 Last, but certainly not least, I wanted to share with you what arrived in my room the next morning. Each room in the hotel has a wonderful feature called the privacy "hatch". Don't you hate in hotels when laundry, shoes, room service or extra items are being delivered and the the hotel employee has to enter your room. I'm often lazying around in the worst attire with no makeup and in no shape to greet anyone. 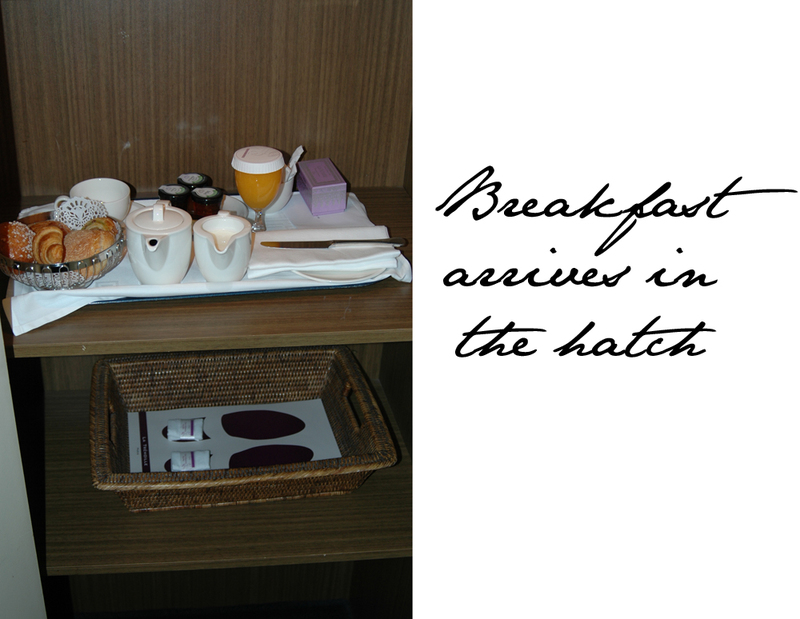 Well, Hotel Tremoille have provided you with the ultimate in luxury with this hatch. Now no one needs to enter your room. There is simply a knock on the door after your hatch has been filled with the items you requested. For me, at 9am on Sunday morning, it was a continental breakfast. 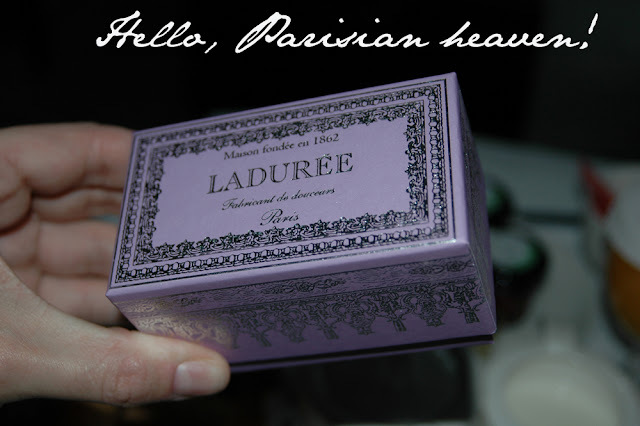 It was the perfect finish to my perfect stay, complete with macaroons from Laduree. 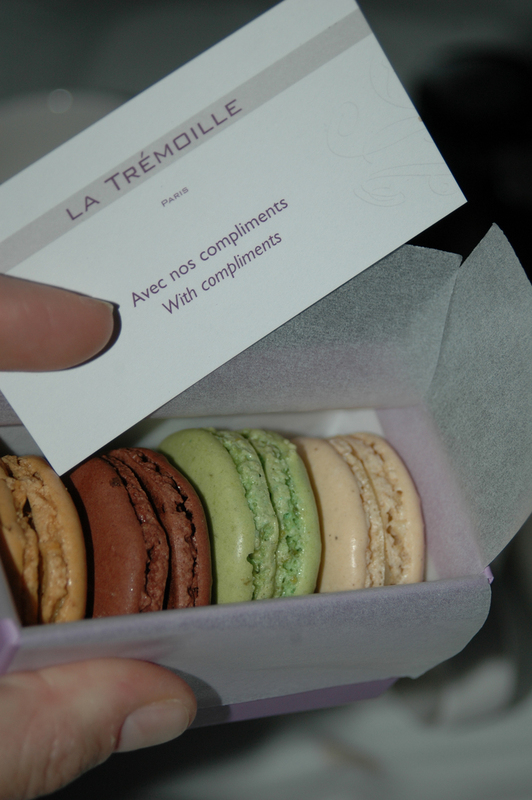 Thank you very much to Hotel Tremoille for a night I will forever remember and certainly recommend to others.